Pharmacists play an integral role in the healthcare industry. In recent years, the healthcare industry has advanced due to increased healthcare needs. Researchers and technicians have developed a wide array of drugs and medications to meet new and more complex medical conditions. This has pushed the need for more pharmacists throughout the nation. According to the National Center for Biotechnology Information, the field of pharmacy is expected to grow from 2010-2015 with a 58% increase in pharmacy residents and 21% increase in entry-level Pharm.D. graduates. Pharmacists are professionals who dispense medication to patients and also provide advice on the usage and effects of medical drugs. Their services are crucial to the implementation of medical treatment plans and healthcare delivery services. To qualify for this job, individuals must meet the minimum educational and training requirements. According to the US Bureau of Labor Statistics, pharmacists must have a Doctor of Pharmacy degree, should complete a 1-2 year residency program, and earn a license. Many colleges all over the nation are offering pharmacy degree programs at undergraduate, graduate and post-graduate level. These programs are designed to provide students with an in-depth knowledge and skills, and prepare them for the licensing examinations in their state. This is an undergraduate pre-pharmacy program that is designed to prepare students for entry-level careers or advanced pharmacy studies. The program typically takes four years to complete. Students will gain an in-depth knowledge of fundamental pharmaceutical procedures, medical terminology, drugs and their uses, and how various medications affect the human body. The program can take 4-8 years to complete, depending upon the school. In the first few semesters, the program will focus on theory-building. Students will then be required to participate in training sessions and gain hands-on experience. Research is an important aspect of the field and covers a major portion of the degree. Students must conduct research for an approved thesis topic. The research area should be relevant to the field and can include areas such as medicinal chemistry, chemical biology, etc. An online pharmacy degree is an alternative route to preparing for a career in this field. If you are working or do not have the time to attend campus-based classes, you can opt for a pharmacy degree online. This mode of learning is flexible and will enable you to study according to your own schedule. You must find out what curriculum is being offered by the online school. Online schools are following a hybrid format, which requires students to take a few classes at the campus for hands-on training. Usually, online pharmacy degree programs are covered via videos and online lectures. According to the US Bureau of Labor Statistics, pharmacists made a median annual income of $116,670 in 2012. The income level will vary slightly from place to place. 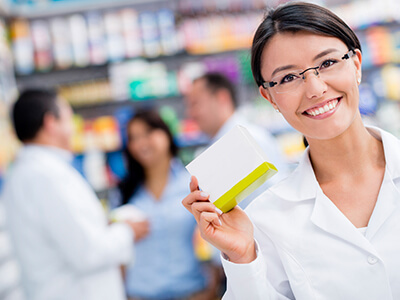 As a pharmacist, you can work in pharmacies and drug stores, hospitals, and general merchandise stores. The positive employment outlook makes this occupation a suitable choice if you want to join the healthcare industry.